Leading pre-owned watch retailer WatchBox announced today that it’s acquired Chronofy, a popular valuation subscription service for the secondary watch market, and that it plans to market the service to independent retailers and watch dealers. Chronofy—which has a mobile app, desktop platform, and the printed Chronofy Watch Guide (which many consider the blue book of pricing for pre-owned timepieces)—will serve as the foundation for a newly launched business unit at WatchBox, according to a company statement. At the heart of WatchBox’s new Chronofy division will be the subscription service, geared to independent retailers and watch dealers. Here’s what it’s offering: For an annual subscription fee ($375 to $675, depending on the chosen tier—see them here), retailers can subscribe to Chronofy to access its comprehensive pricing database and dedicated support team “for on-the-spot pricing guidance,” according to the company. WatchBox will stand behind the prices in its new guide by offering a purchase guarantee for all models featured within its active database. 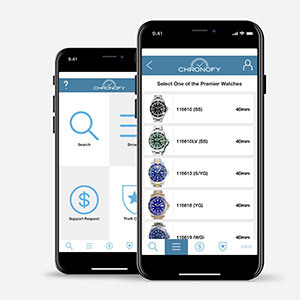 Retailers and watch dealers interesting in checking out Chronofy for free, via a trial membership, can do so by visiting Chronofy or by contacting Mike Manjos (mmanjos@chronofy.com; 203-550-2709).